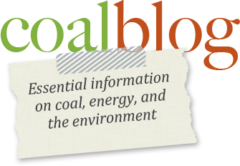 WASHINGTON, DC (12.21.2016) – The American Coal Council (ACC) strongly opposes the Department of the Interior’s December 19th decision to issue its stream rule, following years in the regulatory pipeline amid widespread concerns from the coal industry, states, and other stakeholders. The release of the rule in the waning term of the Obama administration is unfortunate. If left unchecked, its consequences will be far more unfortunate. Predictably, as with many rules issued by the current administration, this rule will not result in environmental improvement. What it will do is severely and unnecessarily limit the ability to mine and develop America’s world class coal reserves, a resource critical to U.S. energy, economic, and national security. It will cause massive coal-related job loss and slash federal and local taxes generated from coal production. It must be a top priority for the new Trump Administration and Congress to rescind this devastating rule, and the American Coal Council urgently requests their cooperative efforts do so.